Thepparat Lodge is easy to find hotel in the center of Krabi town. Good access to shopping facailities such as shopping mall, morning market and night walking street market. Moreover it is nearby to Phi Phi Island, Lanta Island, Ao Nang Beach, Nopparatthara Beach, Tubkaak Beach and Railay Beach. 20 beautifully designed and well furnished rooms highlighted with teak decoration. Maintained by a housekeeping department which takes pride in it’s reputation for spotlessness. Restaurant, Safe deposit boxes, wake up calls, laundry service, telephone, internet, Thai massage, accomodation, tours and travel arrangements, airport transfers, limousine taxi, car,motorbike rental. 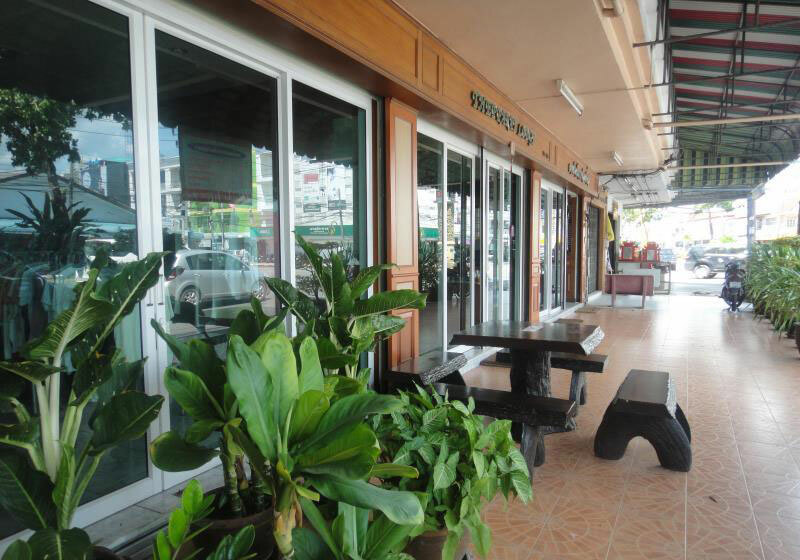 Short Description: Thepparat Lodge is easy to find hotel in the center of Krabi town. Good access to shopping facailities such as shopping mall, morning market and night walking street market. Moreover it is nearby to Phi Phi Island, Lanta Island, Ao Nang Beach, Nopparatthara Beach, Tubkaak Beach and Railay Beach.